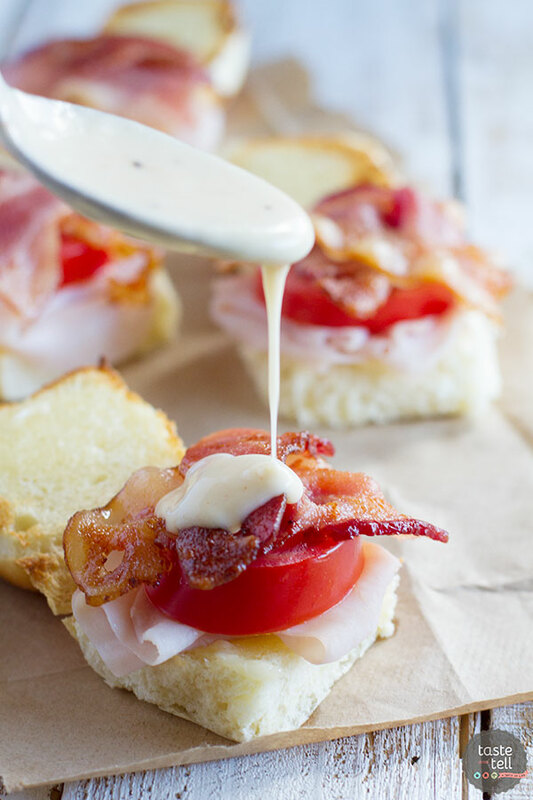 A riff off of the popular open-face sandwiches served at the Brown hotel near the Kentucky Derby racetrack, these Mini Hot Brown Sliders are a tasty and fun dinner or lunch idea. I have been blogging for so long now that I sometimes forget what dinner was like before I started blogging. And I often wonder what kinds of things I would cook today if I never started blogging. I’ve always been willing to try new things, but I think I lived in a little bubble of enchiladas and casseroles before the blog. Not that there is anything wrong at all with enchiladas and casseroles, but while I have always loved looking at recipes, I haven’t always cooked things that weren’t familiar. But the world of blogging has opened my eyes to things like risotto, which I had never eaten or cooked before blogging. And ten years ago, if you would have asked me what a hot brown was, I would have looked at you like you were speaking gibberish. 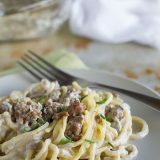 But since I’ve been blogging, I’ve seen versions of this dish pop up all over blogland. So in case you don’t know, a hot brown is an open-face turkey sandwich with bacon and a Mornay sauce. It was created in the 1920s at the Brown hotel in Kentucky as a dish that was served to patrons who had been up dancing all night long. 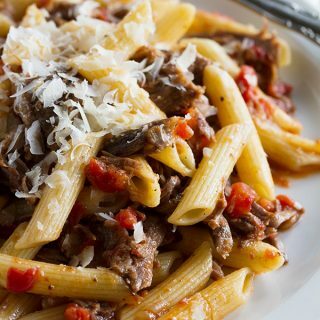 This dish is now a Kentucky legend and favorite. 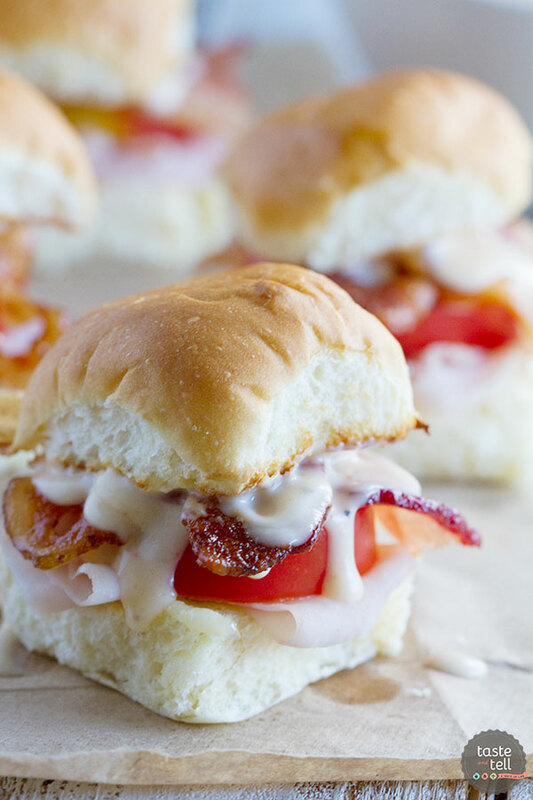 These Mini Hot Brown Sliders are a rendition of that famous open-face sandwich. I used potato rolls, but I think that the Hawaiian rolls would be great on these as well. 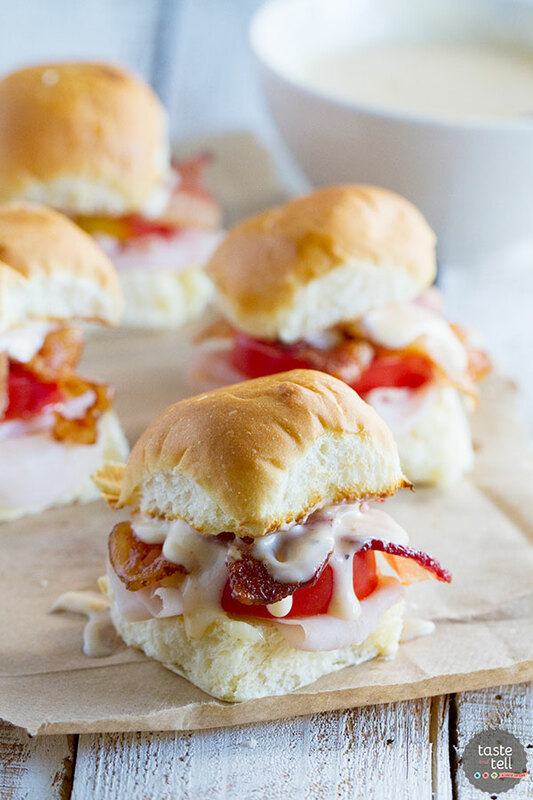 The rolls are topped with deli-sliced turkey, a sliced tomato, and bacon, and then a cheese sauce is drizzled over the top. 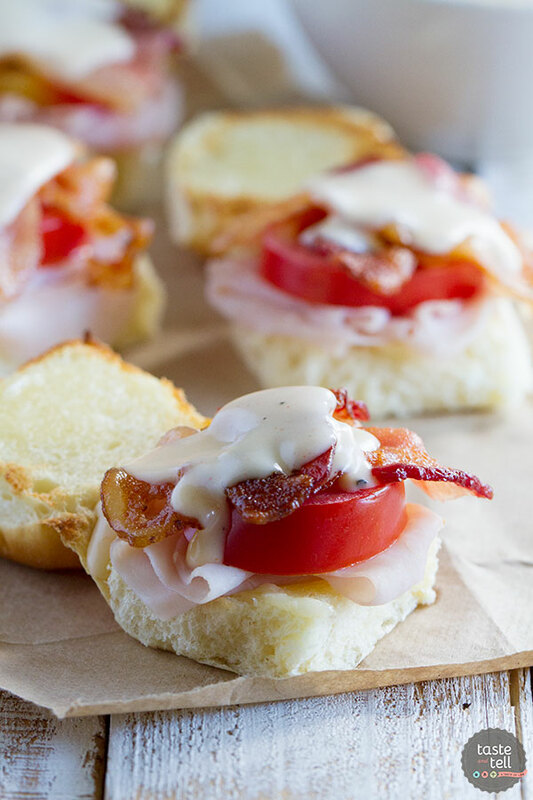 These hot brown sandwiches are perfect for lunch, dinner, or they would even be perfect for that game day spread. They are a bit messy, but oh, so worth it. 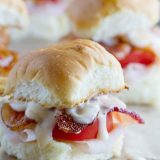 These Mini Hot Brown Sliders are just another reason I am grateful for blogging and all that I have learned because of it! Spread the mayonnaise on the cut sides of the rolls. Place the rolls, cut side up, on a baking sheet lined with parchment paper. Broil just until golden, 1-2 minutes. Reduce the oven to 200ºF. Divide the turkey among the roll bottoms. 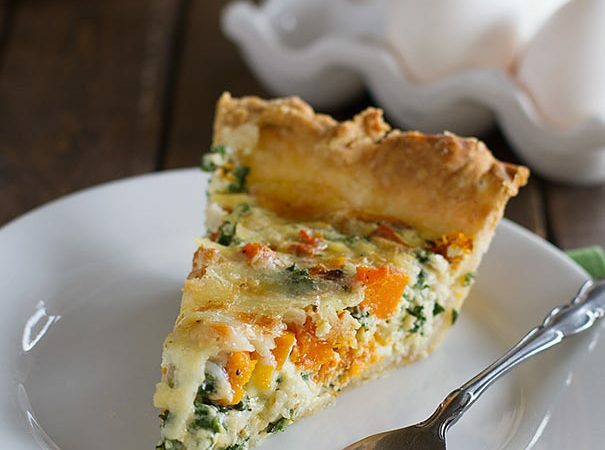 Top each with a slice of tomato and 2 half-slices of bacon. 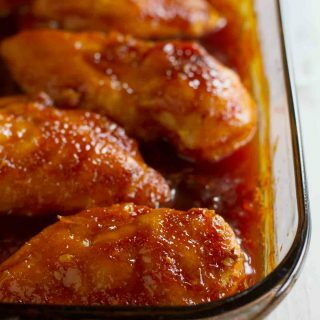 Place the baking sheet back into the oven to keep warm while preparing the sauce. Melt the butter in a small saucepan over medium heat. Whisk in the flour and cook for a minute or two, then whisk in the milk slowly. Add the parmesan and paprika. Stir until the sauce thickens, 4-5 minutes. Remove the saucepan from the heat and add the cheddar. Stir until the cheese has melted completely. Season the sauce with salt and pepper to taste. 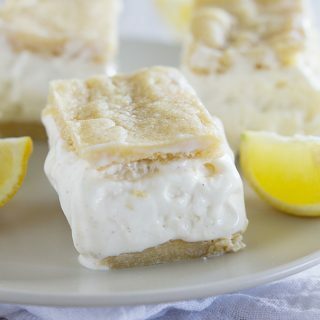 Drizzle the cheese sauce over the sandwich bottoms (about 1 tablespoon each) and then add the roll top. Serve warm. 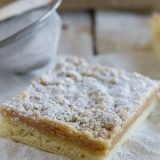 I agree – blogging does make you branch out and try new recipes – you have to (especially for how long you have been doing it!) 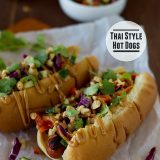 I love little sandwich for dinner kind of recipes like this. 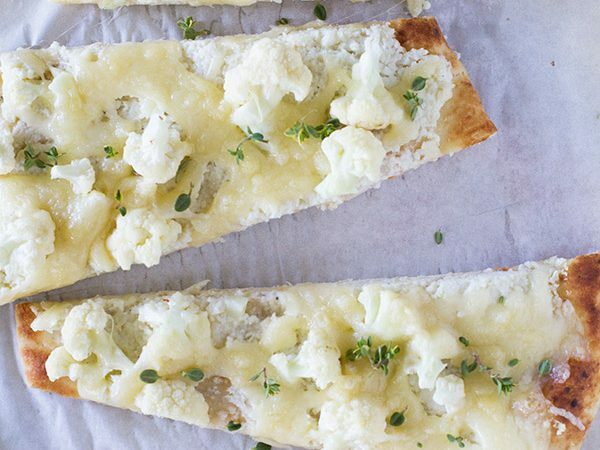 My kids would love this and it makes a quick meal that you could make ahead easy enough. The mornay sauce sounds delicious, too! Looks so good Deborah! I’m in for anything that includes bacon! 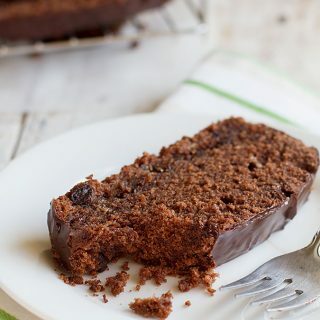 I could go for one of these right now!